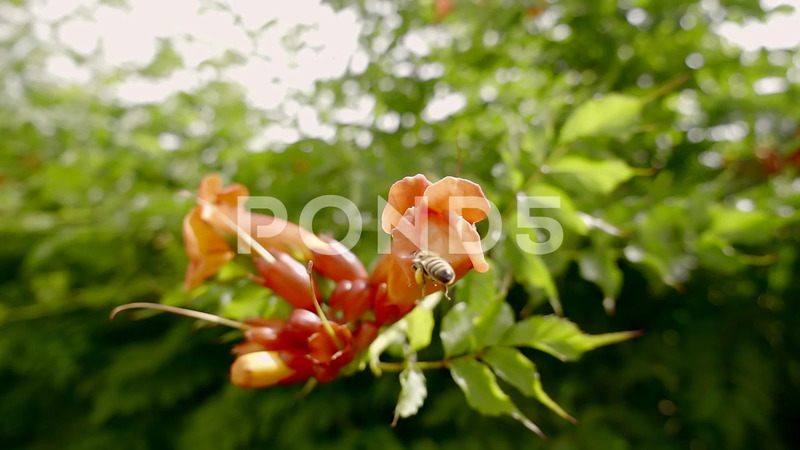 Description: Close up shot of little be flying near the bud of orange flower in summer garden. Ready to pollinate. Beautiful nature life.